Products / June Chakras Box - Free Shipping in the US! 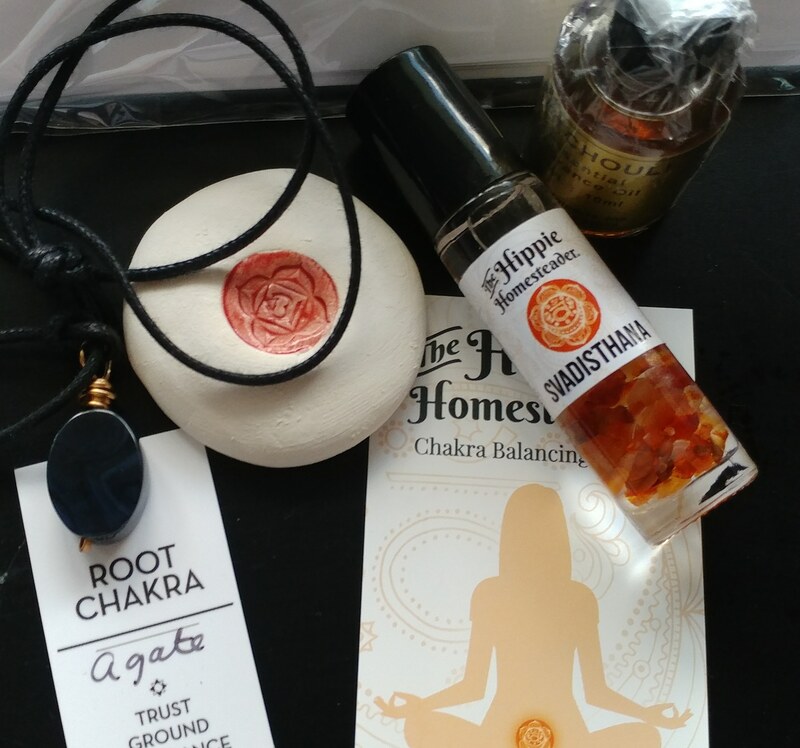 June's box was all about the Chakras! Includes a pendant, a crystal-infused oil roller, note cards and a stone paired with essential oil. Which chakras will the Universe select for you? Free shipping in the US included. Makes a great mindful gift!